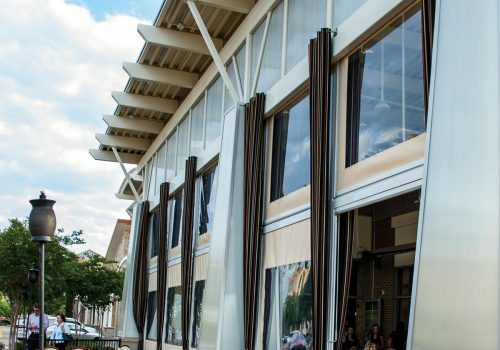 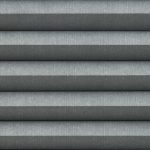 Motorized operation for cellular blinds provide, added convince and safety to an already energy efficient window treatment. 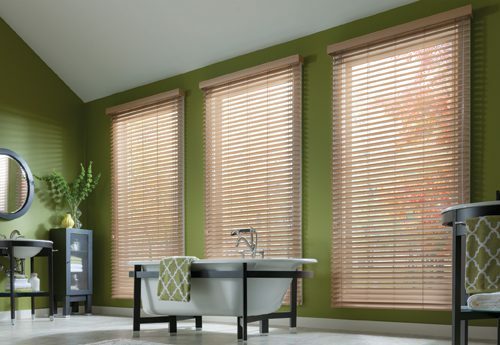 Great for high windows and hard to reach shades, the motorized operation makes control easy and smooth. 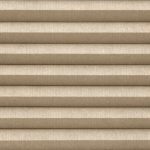 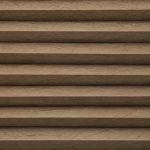 Safer for kids and pets, you can rest easy knowing motorized honeycomb blinds are a great choice for the family. 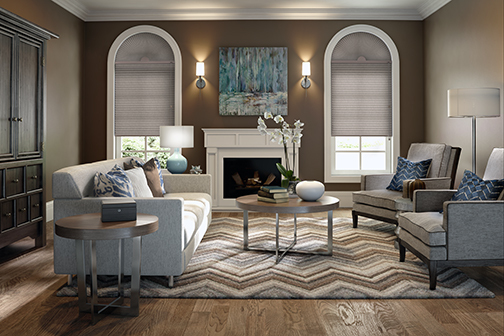 Don’t let those dangling cords take away from the design of your home decor. 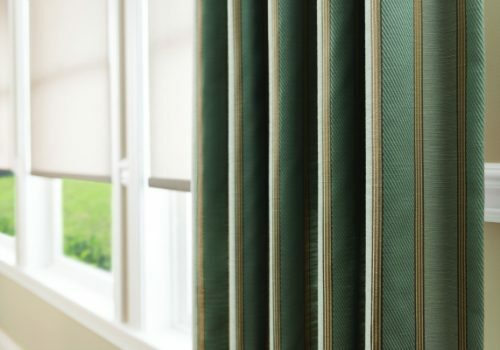 Cords can be dangerous, tangling and can just be an eye sore for window treatments. 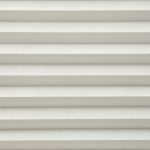 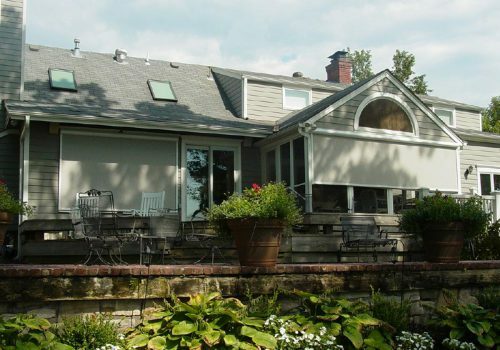 Why not add the luxury of motorized operation to your new cellular blinds. 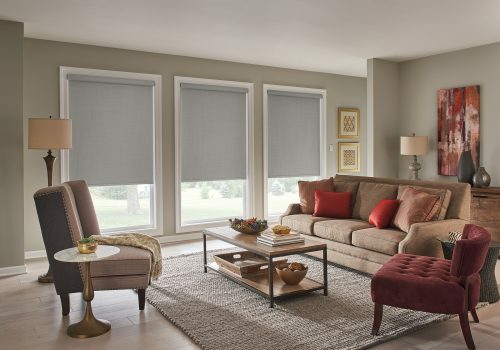 With the quick press of a button, you can operate an individual shade or a a whole room of shades. 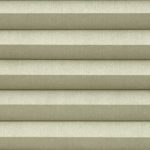 A sharp clean finish, without the hassle of pulling on cords for every blind. 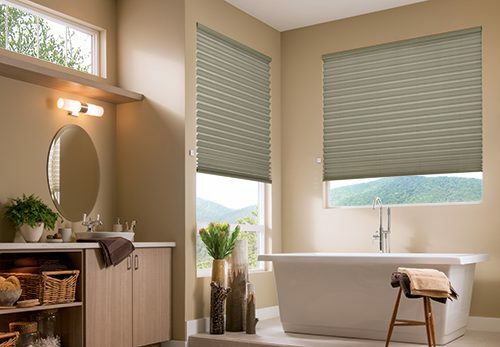 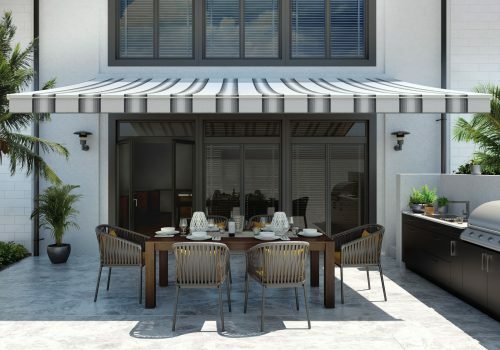 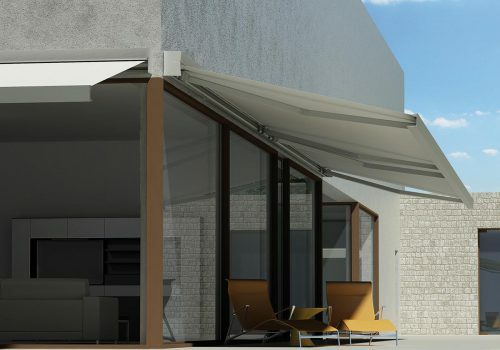 Motorized shades are not only becoming more affordable, they are also becoming smarter & more connected. 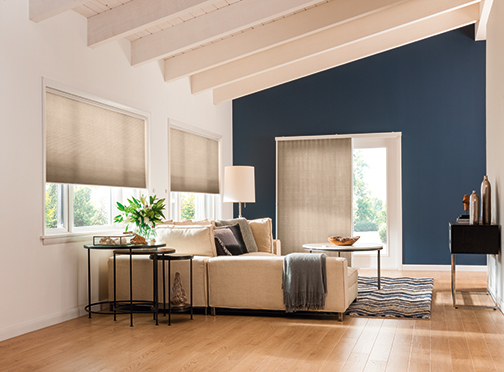 Our motorized blinds can be connected to smart home systems and controlled via phone or voice command. 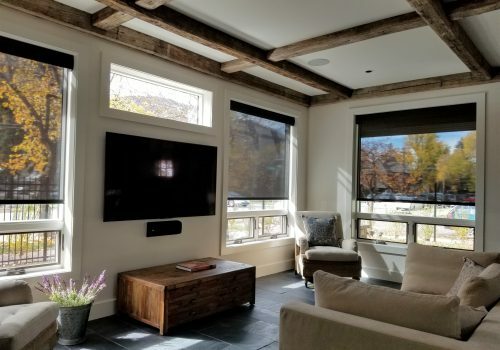 These upgrades on motorized blinds used to cost thousands of extra dollars. 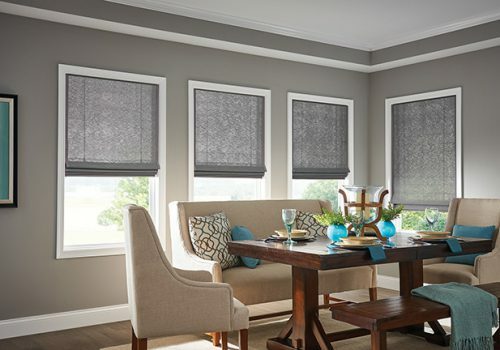 Now with our connected smart shades, simply smart phone control can be done for significantly less.